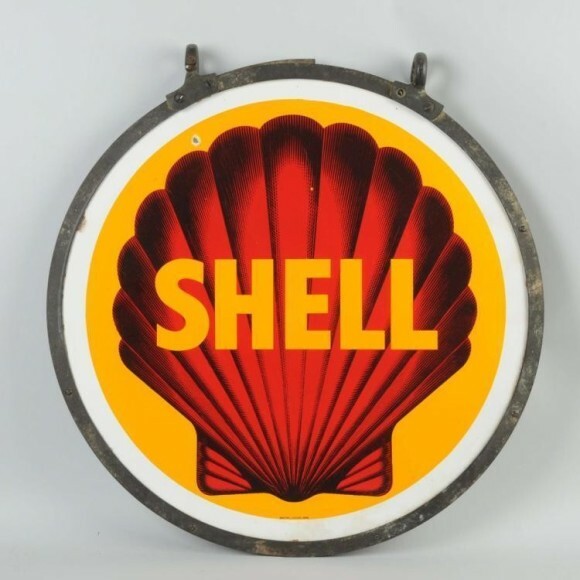 This red and yellow old style Shell sign has a metal ring surround it for hanging purposes. The sign has a nice wide white rim and the colors contrast well. The sign measures 31″ across.